BetterHelp Online Counseling is the world’s largest e-counceling platform, featuring nearly 2000 therapists. Their mission is to make professional counseling accessible, affordable and convenient so anyone who struggles with life’s challenges can get help anytime, anywhere. Find more information here. It’s hard to believe that my pilgrimage to the Camino de Santiago is almost here! The next time you hear from me on Monday, I will be trekking under the sun in Spain with my mama. Things have been busy busy busy. International travel is never just a breeze. Especially when it involves an 80 mile hike! There’s always one essential thing that you forgot you needed. Like, for example…a European outlet adapter. Clunky but necessary. I was talking with my mom about the trip, and I’m going to be honest, she has done a lot more research about it than I have. But one of the things she mentioned to me was that many people walk the Camino and experience a miracle. Big or small, God will show up in a tangible and oftentimes miraculous way. Of course, hearing this, I immediately hopped on Google to investigate this further. And sure enough, the pilgrimage of Saint James and the blessed site in Fatima inspire miracles. And I for one, having received a miracle of my own back around Christmas time, fully believe in the power of God to intervene and do the impossible. Doing all this reflecting on miracles, it definitely made me think about the world in which we live. I believe that God is working miracles — mini to monumental — everyday, but sadly, no-one is looking for them. Our society has removed God from the picture, and one of the ramifications is that we’ve stopped noticing the blessings that He pours out on the day to day. Those chance encounters or “perfect timing” moments, or near-misses, or surprise blessings – in my opinion, they’re all divinely orchestrated. But it made me think, what miracle should I be praying for? There are obvious miracles that I pray for everyday, including my mom’s total and complete healing after her stroke, an end to human trafficking, and a solution to world hunger. Those are no brainers. But very seldom do I pray selfishly. What miracle do I, Caralyn, long for in my life. And that is a hard question to answer. And I never really think in these terms, simply because I feel like it kind of puts God into a Genie-in-a-Bottle type role, and all of a sudden I hear Him speaking in Robin Williams’ voice, may he rest in peace. But I never want to put God in that “grace vending machine” role, because to me it feels like a use, rather than a love type of relationship. I’m using God for my gain, rather than simply loving Him for who He is. Which – if we want to open up another can of worms is exactly the problem with the “hookup culture” in today’s dismal dating scene. I think that, at least in this particular pilgrimage situation, this is a both/and kind of an exception. My motivation to go on this pilgrimage is not merely to seek a miracle, though that would be great. But rather, to just seek God by taking time out of my life, and letting Him speak to me the words I need to hear. But, if we’re getting specific: perhaps even more than being completely healed of my Ulcerative Colitis, or have my fertility fully restored, the thing I pray for most, is that God will bring the right man into my life to marry. I get back from the pilgrimage three days before my birthday, and I’d be lying if I said this approach of a new year has me feeling completely unsettled about my romantic life. I think I’m looking for perfection in a man, and I need God to release that unattainable standard in my heart. That standard of perfection was what led to my anorexia in high school. Why should I impose that horrible bar on someone else? I’ve spent the last several days going through all of your prayer intentions and copying them into a book I’m bringing with me. Thank you all for sending me those sacred parts of your heart. And if you still want to send me your prayer requests, leave me a comment or send me an email (beautybeyondbones@yahoo.com). There is power in prayer, and again – God always shows up. We just have to be on the look out for His voice. While I’m on my trip, I will still be blogging, and also video blogging! Due to the differnet time zone, I don’t know yet what time exactly my posts will go up, but if you don’t want to miss a post, make sure to subscribe to this blog, and/or subscribe to my YouTube channel, where the videos will be posted! 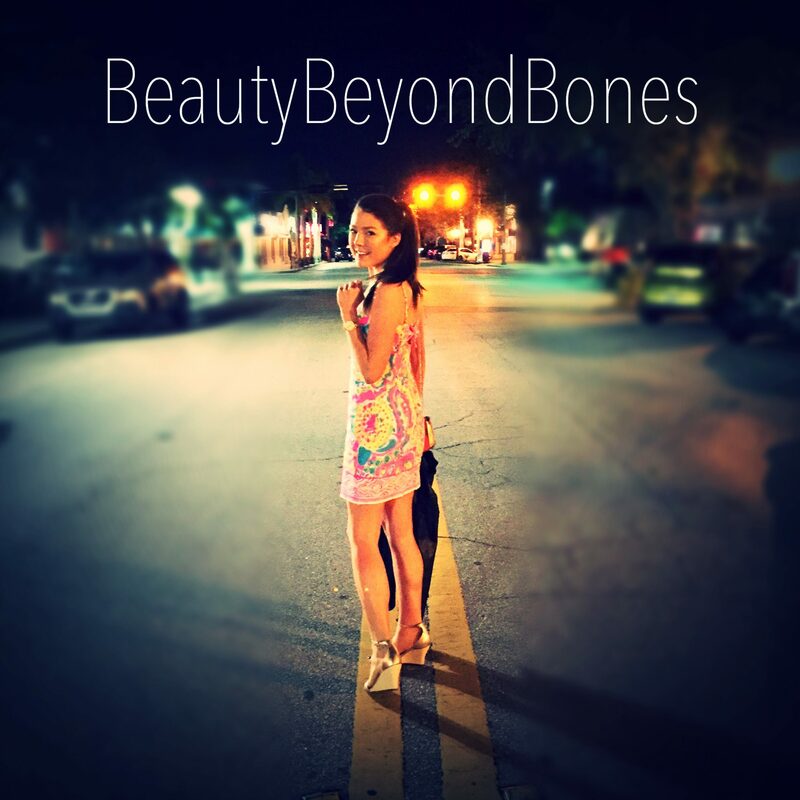 (Well, they’ll be posted both places, but you know what I mean) haha Also – be sure to follow my Instagram Account, (@beauty.beyond.bones) where I’ll be posting fun photos along the way! Previous Post Gluten Free Pizza Party! Praying for your miracle!! God has you! Us perfectionists have a very hard time admitting to human frailty, and we also tend to minimize our problems to set other people at ease. I pray you attain fertility, and it pains me to think of the women out there who have child after child, only to have them taken away..due to drugs, domestic violence and poverty. It just doesn’t seem fair. <3 And as far as your man goes? God will, indeed, send you your soul mate. It will be at the exact moment you swear men off for good, but you will know-the electricity will be your sign. No one is perfect, be it man or woman. However there are fairly strong hints as to whether you can walk the same pathway together with God. That’s very important. With God as the centre of a marriage each partner can compensate for the faults in the other. If we look horizontally for spiritual guidance then we will be disappointed every time. But if we look vertically and make God our model to copy then both can help each other to achieve a better standard in life over time. But recognize we will all be imperfect until changed at the resurrection. Our prayers go with you as you seek your miracle. God is a healer! My ankles ached after playing college football and one day I received prayer at a worship gathering which snapped them back into place. Crazy and true. God bless your trip! Thank you for being so candid in this post. Very good. Sending prayers for you and your Mom that you have a safe, fulfilling, blessed journey! I think if you find a great man, you’ll feel it more than you’ll need it to be perfect. 🙂 I hope!! Here’s to us finding men!! Caralyn, eyes have not seen and ears have not heard what the LORD has prepared for those who love him. May yours and your odyssey in Spain bring healing beyond your greatest dreams for your mom and you. He hears and answers. xoxo Much love! God Bless you, your mom, and your whole trip! Enjoy Spain and the holy place you will be partaking of. Thank you every day for reminding everyone how deep and precious God’s love and light are, by showing it through the beauty of yourself!! Love and Hugs. Here is something I just completed I wanted to share, in case you didn’t get to see it. It’s very short. I finished it this past week. God wants us to ask for things; He’s our Father and wants to provide physically and spiritually. I think the potential danger you’re feeling is attaching a prayer request of any kind for anyone starts feeling like a quid pro quo when attached to the pilgrimage; a sort of cosmic Let’s Make a Deal or a pigeon pecking at a target expecting a food pellet. I think you are spot on to observe that a pilgrimage is about opening up to God. It is an act of devotion, not supplication, and one shouldn’t confuse the two. Will you or Mrs. BBB experience a miracle? Maybe not. Don’t expect it. Don’t even wonder about it as you walk. Forget about it. If you don’t forget it, the focus turns to self rather than God, and we all know where that got Adam and Eve. Take the journey. Keep it as a devotion to God. That in itself is a worthy end. Expecting nothing makes everything a gift. We are well. Hillary is recovering, although still a bit weak and walks a little off. But she improves at least some every day. Have a blessed time with your mom! Praise be to God! She was a big page in my prayer book that I’m bringing with me:) it brings me heart so much joy t hear that. Super stuff here. I’m always so happy to “see” you in my inbox. God bless you, and keep rocking the good word. It’s hard to accept imperfection in a date after years of daydreaming and praying. We all struggle to let that go. But like you said, the strength of marriage is OUR choice to love as Jesus did, rather than waiting for perfection. I admire your integrity in your standards. May God reward it. 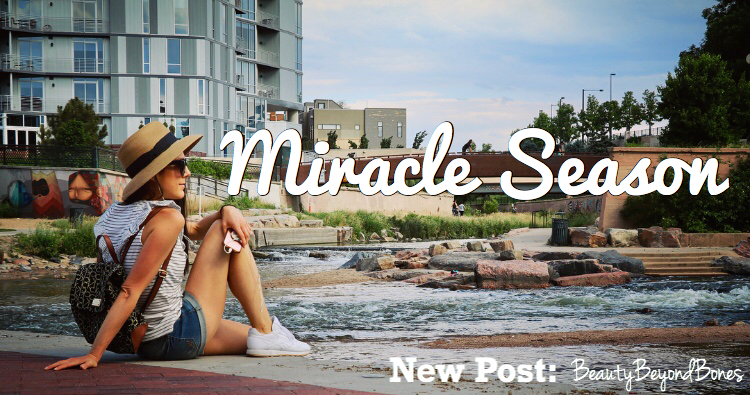 Great Post again right timing as I am reading, the case for Miracle by Lee Strobel. Suggest you to read. This century forget about God’s miracle it is same 2000 years ago till now. His hands are never short but where is the willing? Hope you and your mom have a blessed journey. Thank you for sharing this Caralyn. God truly works His magic to provide miracles for us when we need them. In this day and age when people are hesitant to talk about God, it’s truly refreshing to read about your unconditional faith in Him; it validates all my feelings for God and then some. Thank you for sharing your positivity and light! May your Camino be a gift from our Lord and his Mom. Awww you’re an awesome and lovely friend as well and woman of God! <3 thanks so much!!! Greatly appreciated! Yes, God is loved and worshipped for who He is. Being who He is, He bestows blessings every now and then by His grace. Sometimes we notice, other times we don’t. But He remains true to His nature for He changes not. Well written piece. I’m praying for your trip – and for God to bring that right man into your life. Be safe! The most precious pilgrimage is the pilgrimage in our heart there we can hear the voice of God. We look outside for miracles and oversee that we ourselves are the highest miracle in God’s creation and God has His temple in us, in our heart, in everone’s heart as we all are His children. Each prayer that is not a personal prayer but which is meant for those who suffer, for those who are poor and needy, or for God’s Mission to bring peace and love to this world, understanding among people, to bring all His children HOME – these prayers are surely heard by Him. Unfortunatly, we look for so many things outside and forget to look inside. I am so excited for you both. I look forward to your updates during your pilgrimage! P.S. my entire family could use prayers for physical healing… some for mental and emotional healing. thank you! Have a wonderful and safe trip, Caralyn. Praying for you and your mom! God answers all prayers, just not always the way we expect Him to 😉 Be open and He will send you your miracle. God Bless! What if you began to pray about your future husband in a different way? Pray for growth in his walk with God, strength to retain integrity throughout his daily encounters, etc. You just don’t know what help you may be to your husband before you even meet. This is not my original idea, just one that I liked and am passing on. God does answer prayer and give us miracles and delights and He wants us to petition for them. Safe travels! You are very welcome. You have such a beautiful soul. I am glad you share it with us each time we read the blog. Jesus, I pray for Caralyn that you will bring a man into her life who is a believer and who will love her as you love the church. Open her eyes to see when he comes. Help them to lay a foundation for their marriage in you. Thank you Jesus. This is so wonderful to hear and best of luck on your pilgrimage! How exciting for your Mom and you to take this pilgrimage of prayer, and seeking Jesus together. It will be a time you will tell your children and grandchildren about often. Setting this time aside, to seek God, to grow closer and more intimate in your relationship with Him, is so pleasing to our Father, and honouring to Him. Holy Spirit will pour Favour on you and your Mom. I am sure you have many Scriptures for guidance, and many friends suggesting ideas. Below are a few Scripture verses I would like to share if you have time to ponder them. —Sharing with God that you know He hears you, and will answer. —God’s Word tells is He will bless those who hunger and thirst for righteousness. God is going to BLESS you and your Mom Abundantly Caralyn, watching over you, and filling you with even more JOY!!! Sure looking forward to hearing what God is going to do during this time, and all that you are open to have Holy Spirit do within you, and through you, to the Glory of our Lord and Saviour, Jesus Christ. The trip you are about to take is on my bucket list! I cannot wait to “travel with you’ while you blog about your journey/experience – I am sure it will inspire me even more to do this (one day) myself! Hugs & may God’s grace appear to you in surprising ways! Hi, thank you, so much for following, liking and viewing my post. You are a joy. Thank you. My prayer is the same as yours – a good man, a godly husband. And I really identify with your struggle – God isn’t a vending machine, and yet it is sometimes ok to ask Him for something: He’s a Father Who delights in giving, and as His children, we should be unashamed to expect Him to supply out of His abundance. And it’s sometimes hard to keep those conflicting parts of faith in balance! This sounds like an amazing experience for you! Thank you for sharing your story. It’s so wonderful to see someone speaking from their heart with God at the center of it. Miracles really do happen every day and being open to that can be an incredible experience. Safe journeys and God Bless! Have a great trip. I consider my life as a Journey with Jesus and it seems you have that perspective as well. May you have some divine appointments only God can arrange. Hey Caralyn, I really enjoyed reading your post. I think your motivation for seeking God is the perfect approach. When we seek God we open our hearts to accept His grace and mercy and that is when miracles happen! Oh and I can definitely relate to the miracle season, Hope things work out for you!